Went six miles west of East Grinstead to Corps H.Q. – had to have a meeting with Brig. Linton (likely Brigadier J.A. 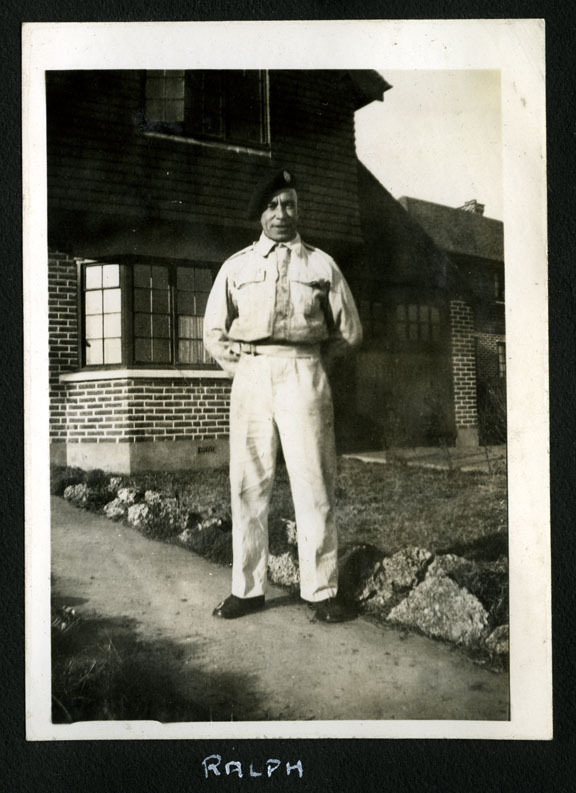 Linton, Director of Medical Services for I Canadian Corps) – he wasn’t too bad this time for a change. But I still think he’s an old woman. In the evening John brought his nephew over and we listened to Gen. Smuts on the radio. 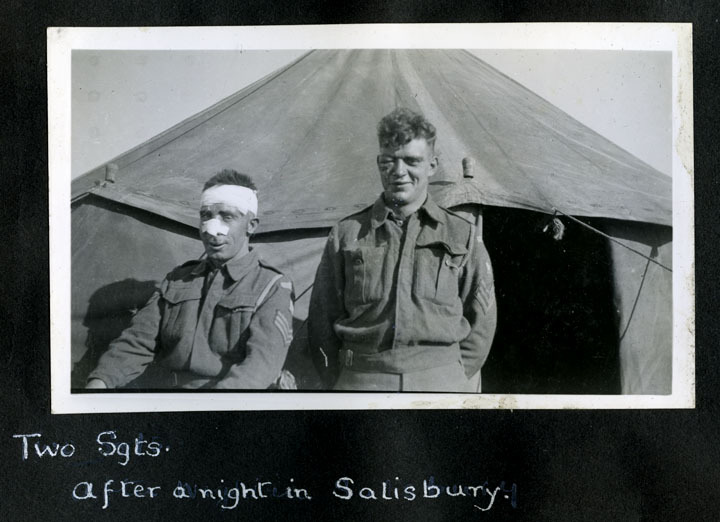 While I have no idea who these two sergeants are, it sure looks like they had a great night out on the town in Salisbury in 1941. Doc Alexander would have bandaged them up and no doubt teased them mercilessly before sending them back to their squadrons. Went to Barton Manor to visit Col. Morgan S.M.O of the Isle of Wight. Today I hope to go to Swiss Cottage about 200 yards from here – where Queen Victoria’s children spent their summers. Just discovered that King Charles I was a prisoner in Carisbrooke Castle. Air alarm on now, the sirens are blowing in Cowes. Terrible rain storm came up about this time – we have two tents now. Bill and Jim in truck, Bert, Ralph and Charlie in one tent and Bill Hunt and I in the other. Was shown through Swiss Cottage today, the summer day home for Queen Victoria’s children. Very beautiful – all the toys etc. still remain. Ralph of all people arrived home at 11 p.m. stewed to the gills. Started on scheme at 3:30 a.m. Went along Eastbourne Road to Old Town, then north thru Willingdon to Polegate, then West to Alciston, and up to the New Tank Road to the top of the Downs, attacking towards the Pier at New Haven – very interesting scheme. We didn’t get any casualties, but with our little carrier we rescued McIndoo of “A” Squadron and his four tanks which were completely lost in a hollow and led them back to Rally.